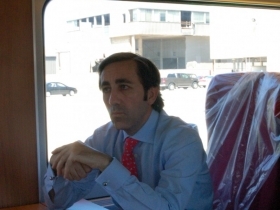 For more than a year, Talgo CEO Antonio Perez has held his tongue as detractors dumped on his company and its trains, until finally he could take no more. Perez cannot believe the State of Wisconsin has chosen to terminate two contracts it signed with Talgo nearly three years ago. His company has put almost three years of work into a project to build and maintain trains in a warehouse in Milwaukee’s 30th Street Corridor, the long-dormant industrial area Gov. Scott Walker has pledged to help revive with a new, $100 million dollar plan. Yet his administration will kill the only viable company now operating there, Talgo. Wisconsin’s commitment to Talgo and trains goes back to the days of Gov. Tommy Thompson, who served on the Amtrak board of directors. Thompson made Wisconsin “a leading member of the Midwest Regional Rail Initiative” and “developed an implementation plan for high speed passenger rail in the state,” as a 2001 Blue Ribbon Task Force established by him noted. At the heart of that approach was Talgo, which won a 1999 bid process by three states, including Wisconsin, for a Midwest Regional Rail Plan that was never able to get funding. The 2001 task force, which reported its findings under Gov. Scott McCallum, continued that momentum, and his successor, Gov. Jim Doyle, signed two contracts with Talgo in 2009, one for the purchase of two trains (for the Milwaukee to Chicago corridor) and one for a 20 year maintenance contract. 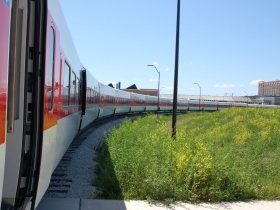 Doyle envisioned buying two more Talgo trains with the help of federal high speed rail funding, which would be needed to create the Milwaukee-to-Madison line. And Talgo was the natural partner. Founded in 1942, Talgo has 190 trainsets in operation across the globe, and has helped make Spain one of the world’s leading innovators in high-speed rail. And because there is no American company that builds high-speed passenger trains, Talgo, Inc., a separate subsidiary of the Spanish company created in the U.S. in 1993, is as good as it gets when it comes to creating American jobs. Only its frames are built in Spain: 65 percent of its parts are sourced from American suppliers, and all of its maintenance and jobs are in America. Unlike the hulking old-fashioned Amtrak cars, Talgo’s are built of sturdy, lightweight aluminum, and are lighter, faster and safer. Because Talgo trains place the wheels between cars rather than under them, the ride is far more comfortable. Its sleekly modern cars offer WiFi and better cell phone service, upgraded food service and seats that recline without invading the space of other passengers. In 1993, when Washington State decided to try Talgo trains for the Seattle-to-Portland line, there were doubts about how well it would work, so the state decided to try a six month test replacing the Amtrak trains. The state leased the Talgo trains, found ridership went up immediately, then extended the lease, then finally bought the cars. 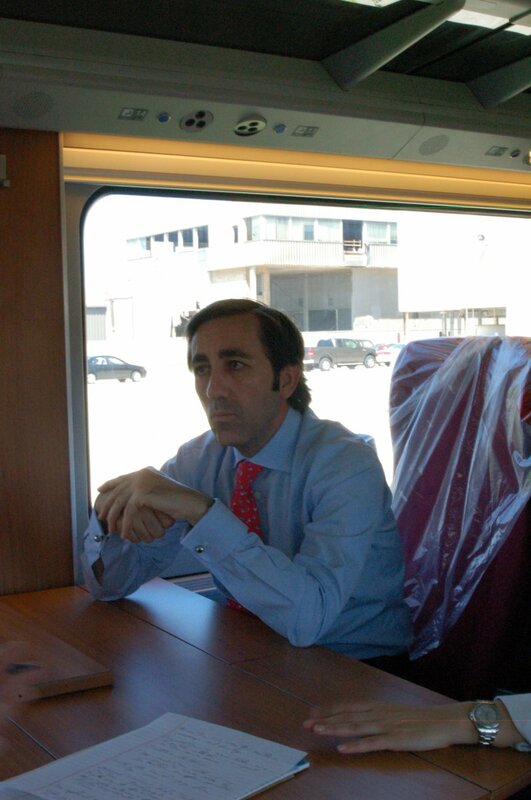 Today it owns five Talgo trainsets and ridership has grown by more than 800 percent 19 years. 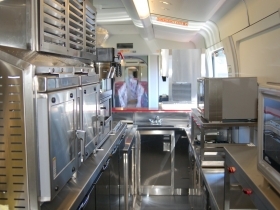 Talgo Bistro Car. Photo by Brendan Murphy. In Wisconsin, the state signed a July 15, 2009 contract to pay $47.5 million to purchase two trains, and a December 30, 2009, contract to pay Talgo $4 million annually for 20 years for maintenance of the trains. To help attract Talgo’s plant to Milwaukee, the city spent nearly $11 million and state invested another $3.5 million to upgrade the 82-acre site Talgo now occupies, paying for new tracks and pavement and retrofitting and making additions to the old AO Smith warehouse Talgo now uses. Friend accuses Walker of “manipulating data” to justify killing Talgo’s contract for the Hiawatha trains. But news accounts suggest the Walker administration was reluctantly painted into a corner on this issue by Republicans on the Legislature’s Joint Finance Committee. Republican committee members were highly critical of former Gov. Doyle and Talgo. Perez and Friend attended its meetings but were not allowed to speak to the committee. “Sen. Lena Taylor (a Milwaukee Democrat) said the head of the company is here, why don’t you ask them to speak?” Friend recalls. At the urging of Joint Finance, the state Department of Transportation asked the Legislative Fiscal Bureau to study the relative costs of sticking with Amtrak versus honoring the contact with Talgo. By then the state had already paid some $35 million to Talgo for the trains — “more than 75 percent of their cost,” Perez notes. The state would also have to spend money to store the unused trains, since there seems little possibility of a quick sale to any other state. Yet even if it ate those costs, the state would still save $10 million a year over the 20-year life of the contract with Talgo, a Legislative Fiscal Bureau study concluded. But the report did not take account of savings on fuel for the lighter Talgo cars, which the company says would save some $300,000 a year. Nor did it take account of potential revenue increases from switching to the state-of-the-art Talgo cars, which attracted a 40 percent increase in ridership in Washington State in the first year there. Nor did it factor in the $11 million spent by Milwaukee, nor the possibility that Illinois might chip in some subsidy for the Talgo trains (that state now pays 25 percent of the cost of the Hiawatha line). Certainly, the legislature can dictate the assumptions to be used by the Fiscal Bureau. Jon Dyck, who did the bureau’s study, concedes that the potential for fuel savings and ridership increases could lower the annual cost for Talgo’s trains, but he’s not convinced the impact would be that great. Adding insult to injury, Dyck’s report even suggests a way to evade a suit by Talgo, noting the terms of its contract are only applicable the Department of Transportation, so if it fails to meet its contractual obligations “due to insufficiency of funds provided by the Legislature,” it would not be the department’s fault. That sort of legal trick would seem to send a “beware of doing business with Wisconsin” warning to any potential private sector partners. The most telling thing is how the Republicans on the Joint Finance Committee wouldn’t hear the President of Talgo Inc. They simply refused to even listen to a knowledgable opposing viewpoint, in this case, an executive who presumably came from Seattle. This whole story is beyond sad. For what it’s worth, there is an on-line petition to reverse the State’s decision and use the Talgos on the Hiawatha line. Absolutely disgusting. This alone is reason enough to support the recall. Walker not only destroyed billions in business for Wisconsin, he screwed the entire country by turning rail into a political issue. yes we screwed talgo, yes we are going to lose 50 jobs. But was it a bad deal to start? Chicago and MKE is a proven route that is successfull. I agree, but why is the whole state of WI responsible for that one route? How does Eau Claire or Wausua benefit? Kenosha, Racine, and MKE have direct benefit and should be paying for the building of that route. If people from Eau Claire and Wausua come and want to use it, then they will pay to ride it. Walker did not reject Talgo, the senate and assembly did, Therefore you need to talk to your local reps. You have a voice for your LOCAL reps. not ones in Eau Claire etc. MKE is a large city and has a lot of sway, but is unable to speak for all the other communities around the state. Each elected official is elected to speak for their area. So my question is, is why hasn’t MKE come to the rescue of Talgo, if we can give 100million plus to kohls why not 20 million for Talgo? That blob where Milwaukee is extends well around Milwaukee and well around Chicago, it forms the fifth largest economic engine on the planet. Milwaukee is the second largest component of that huge economy and we don’t embrace it. We should tie our future to Chicago with as many ropes as we can throw and that should include these trains. Short-sighted, penny wise and pound stupid. Doyle shouldn’t have signed such contracts so close to the end of his term. (Seriously, a 20 year contract, right before you get out, what a move when you won’t be responsible for how to pay for it.) It was an issue brought up during the elections and many were opposed to it. @Kenneth So I’m wondering what day exactly in a Governor’s term should they stop, you know, governing? Yeah that was a mostly TIF, which incidentally the city did use TIF funding to get Talgo started, but can’t be used to pay for trains. 1. If I recall, the governor did oppose the move in the legislature to renege on the Talgo deal and could have vetoed it. Given the makeup of the senate a veto would likely have been upheld. But it takes considerable political courage to go against your friends and supporters. 2. I suspect the “insufficiency of funds” language is standard boilerplate inserted in many state contracts (I have seen it in local government contracts), presumably accompanied by verbal assurances that of course the Wisconsin legislature believes in fulfilling its obligations. It seems unlikely that businesses considering contracting with Wisconsin in the future will accept such language. Finally, the silence of the Milwaukee business community is very disappointing to me. Having ridden on the trains in Spain, I can testify that it is an exceedingly comfortable way to travel and to see the countryside. My recollection of the debate here was that public opposition was fueled by the focus on the proposed Milwaukee to Madison route. Great minds may think alike, but small minds often do more consistently. By focusing on the small details, the line between Madison and Milwaukee did seem like a dumb idea. People could drive between the 2 cities just as quickly as the proposed train route, especially when you consider getting to and from the train stations. It also would be as cheap, if not cheaper to drive, especially if you had multiple passengers in the car. It was hard to present an appealing look at the bigger picture, the long term benefits of train travel vs automobile. It is hard “to see” the costs of gasoline pollution. Southeast Wisconsin has one of the highest pollution levels in the country. So that is part, perhaps the greatest part of this whole fiasco. Walker and his compadres are making a mess of things, right, left and center. Technically, Talgo was the first high-speed train. Though the design originated in Spain, it was engineered in the USA in the 1940’s -50’s. Talgo coaches use centrifugal force to mechanically tilt into rail curves to increase speed, stability, safety and ride comfort. Their single-axle bogies are like automotive McPherson struts, reducing weight and wheel squeal. Real Americans should be proud to ride Talgo trains. The tilt of Acela-type trainsets is a computerized system that pumps hydraulic fluid into chambers to force the speed-enabling tilt; more complex and only necessary when speeds over 150mph are possible and desirable. No American rail corridor can sustain speeds over 135mph. I’ve ridden both Amtrak Acela and Cascades Talgo. 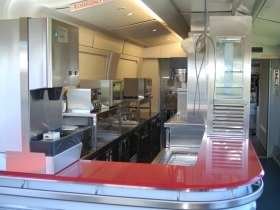 Talgo offers the more comfortable ride. 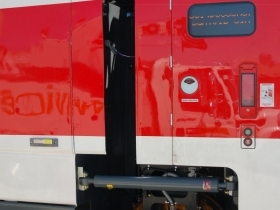 Talgo trainsets can avoid electrification to reduce overall project costs by more than 30% and can share tracks with freight rail unlike Acela. The Talgo Corporation manufactures a Hybrid locomotive that raises a pantograph to run all-electric through inner-city track where emission reduction is an air quality concern. The Orlando/Tampa high speed rail project with Talgo would be a piece of cake. If California’s high speed rail project ran Talgo, they’d be running today. Republican Party leaders oppose passenger rail because their principle affiliation is with automobile-related business interests, (finance, insurance, sales, advertizing, fuel, maintenance, parking, car-dependent suburban sprawl and big box retail, taxi, rental car, air travel, hoteliers, conventioneers, etc), which still conspire to establish and maintain a transportation monopoly of car-dependency. When automobiles dominate, they become a severe impediment to other fundamental modes of urban/suburban travel (mass transit, walking, bicycling) even with the predictable result that travel by car fails its practical function, obviously. We drive too much, too far, for too many purposes, at too high a cost and impact; truck too much, fly too much, ship too much, build economies dependent upon long-distance travel and transport too much. The Madison to Milwaukee route is also the Madison to Chicago route…duh. I would love to take the train to O’Hare or Chicago to visit relatives. Also, a lot of the interstate traffic would have been freight. Think about it, fewer trucks on the highways. @Katrina You bring up a good point about freight. What people don’t understand about the HSR funds is that those dollars were in a part going to be used to upgrade existing tracks. In Wisconsin some of those are freight tracks that today have a very very slow speed maximum on them because of their condition. So when the HSR funds were rejecting Wisconsin was left now having to spend millions to fix these tracks anyhow. @Kenneth T, Doyle did not sign the Talgo contract “right before [he got] out”. He announced in June of 2009, more than 1-1/2 years before his term ran out. The Legislature approved the deal in August, 2009 (when all of the Assembly and half of the Senate were in the FIRST HALF of their respective terms). I agree with several Kent Mueller and several others. Utilizing Talgo could likely decrease the number of automobiles on the road, auto accidents, fuel, and pollution, and benefit many employees and others seeking employment. We would appreciate rail transportation in the western areas of the state as well, including Eau Claire and La Crosse. A rail should be considered between Madison and Milwaukee/Chicago, and another for Eau Claire and Minn/St. Paul (there are many who live in the Eau Claire area but work in Minn/St. Paul….. 80+ miles each way). And so on. One writer noted the disparity of rail transportation between the US and European countries. I agree; a good source of affordable public transportation is sorely lacking. And Wisconsin is part of the problem. It appears many other bills/decisions have been passed without a whisper, and sometimes our local news informs us, usually after all is said and done. Recently a large number of bills have been quietly introduced and passed with little, if any, fanfare. It is important to utilize a variety of helpful resources to learn as much as possible about new bills, new developments, and issues related to hand-picking appointees. (I don’t consider FOX “news” or other politically biased sources to be reliable….. nor uninformed people who consider others’ opinions to be gospel truth–even if they happen to be our coffee/beer buddies….nor people who spout their opinions based upon their favored political party.) Objectiveness is key. Similar to a growing number of people, I truly dislike politics. I hear people say they “stay away from politics.” But how can we deny the relationship between politics and their impact on so many aspects of our daily lives? Nothing new about that. I read your article after seeing it shared by All Aboard Washington via their facebook page. Very interesting details on what went on. I have rode our Amtrak Cascades trains a couple times, and they do pretty good, and from what I understand, looks like you would have been getting the improved model. I was looking at the photo, noticed the train in the background of the interior photo is painted differently, is that one of the 2 being built for Oregon? (I could not tell, it looked like Amtrak Cascades colors). One thing I do fear, is that one of our presumed candidates for Governor may be anti-rail, because I remember him from his days on the King County Council(he represented the suburbs along the Eastside of Lake Washington), he was anti-rail, and even helped push for a rule that stole some bus hours from Seattle(which provides some of the heaviest ridership on King County Metro, although the reasoning was they needed to grow service in the suburbs). The rail project he tried to block(now Attorney General McKenna), was Sound Transit’s LINK Light Rail. The project went ahead, and service commenced in 2009. Sound Transit’s improvements to the BNSF line needed for SOUNDER commuter rail are benefiting Amtrak Cascades. One thing that it needs is the Point Defiance Bypass, which will put service through Tacoma on a straighter route(bypassing Point Defiance the the Tacoma Narrows, which includes a portion of Single Track in a tunnel under the ramp into Point Defiance Marina/Ferry Terminal), and shave minutes off the time. The first phase of it has been under construction for about a year, under a previously approved Sound Transit project. It’s connecting two railroads that did not connect. A former Milwaukee Road branchline that SOUNDER currently terminates on, and a former BNSF(Northern Pacific) branchline called the Prairie Line. It opens in October, and construction is on pace to make it. (I take a trip down there every few weeks to see what is happening, a section is completed just about every time). I don’t know much about McKenna and Inslee(the potential Democratic opponent) on Amtrak Cascades, but I do know McKenna will most likely be opposed to at least one rail line, East LINK Light Rapid Transit, a big fight is going on right now over it’s most crucial portion, the floating bridge across Lake Washington. Interesting article. I am absolutely NOT a Walker fan or supporter, but Talgo is (almost) as bad. Here are some additional facts and what Talgo didn’t tell you -Talgo did NOT win a 1999 bid for the Midwest. The bidding process was never completed nor a vendor chosen. Talgo was part of one of two finalists before the process was terminated. The purchase from Talgo in July 2009 was not competitive – they did not bid and no other company was given the chance to bid. They did respond to an RFI (Request for Information) put out by the DOT, but an RFI has no weight or bearing in any state procurement process. They received a no-bid contract under a provision of state law allowing no-bid contracts for rairoad purposes, including equipment. Even the Democrats on the Joint Finance Committee at the time had trouble swallowing it, but were forced to by Doyle. The state has only terminated the maintenance agreement, not the purchase contract. The state intends to take delivery of the train sets if Talgo can meet the contract terms – complete the trains and resolve the very servious federal safety and accessability issues that, according to federal regulatory agencies, it has been unable to resolve sussessfully. Both the purchase contract and maintenance contract allow termination by the state for a variety of reasons. The termination of the maitnenance agreement follows the provisions of the contract. Termination of state contracts is not unique. Ask any construction or consulting firm that does business with the state. It is part of doing business with the state and federal governments. Talgo’s claim of a 40% increase in ridership/revenue based on the Pacific NW does not hold as when the Talgo trains were introduced in the PNW, fequencies were doubled as well and additional stations were openned. The Hiawatha corridor is already over capacity on peak period trains. Simply switching equipment will not resolve that. Oh, by the way, another thing that Talgo did not mention – their trains have less seating capacity than the current Amtrak trains on the Hiawatha service. Talgo should stop their whining – Doyle politics got them the deal and Walker politics is ending it. That’s the game they chose to play – live with it. While I agree with you regarding the no bid contract, you are off on your info regarding the Talgo claims of increased ridership. First, there were two runs each day between Portland & Seattle each day prior to the introduction of the first Talgo trainset. The long distance Coast Starlight provided one daily round trip as it continues to do so even today and the Mount Rainier provided the local run as it were between the two cities. So adding the Mt. 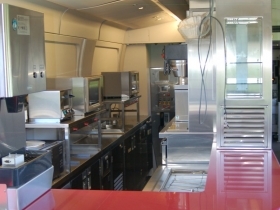 Adams which was covered by the Talgo trainset did not double the service levels being provided. Second, there were no additional station openings. In fact in all the years since the Talgos first started to run, only one station has been added between Portland & Seattle, and that was Tukwila and it opened in 2000 as part of the Sounder Commuter service. So it would have had no impact on ridership in the early years which is when the 40% number was calculated. Moving on, what safety issues are you talking about. First I’m hearing of that and considering that Oregon is still anticipating delivery of their two trainsets this month I find it hard to believe that there is some issue. They’re getting the same design that Wisconsin ordered. Finally, while I agree that cancelling the contract is quite likely within the state’s prerogative, one does have to question the wisdom of letting two brand new multi-million dollar trainsets sit around rotting as a consequence of terminating the contract. Especially since quite frankly I think that both sides of the battle over the operating contract have tried to stack the deck in their favor. Using the new sets however still leave us with the potential capacity issue that you’ve noted, not to mention what happens if one set is out for major maintenance. The latter is where the other 2 sets that Wis was to buy for the Madison extension would have come into play and filled that gap. I just wanted to add, a few new stations were added as part of Amtrak Cascades. Mount Vernon and Bellingham, although Skagit and Fairhaven Stations(as they are called respectively) were built as Greyhound and local bus stops as well. Stanwood Station was added as an infill a few years ago, although it is just a platform and a decent sized shelter. (Fills a gap between Everett and Mount Vernon). Everett Station was built as a hub for several different services, that 3 Amtrak trains just happen to serve. Service North of Everett, prior to Amtrak Cascades, had been discontinued around 1980/1981. Some are lobbying for a station at Blaine(a restored downtown one, or possibly, since it will attract some Canadian Riders, near the Peace Arch Crossing), especially since the roughly 10 minute customs stop southbound is going away. Since they do not open every door at intermediate stops, they usually keep the dwell time down to about 2 minutes, so if a new stop at Blaine would still be a plus. What is most troubling to me about Wisconsin missing the Talgo opportunity is that Acela-type trainsets are much more expensive to construct. Non-electrified Talgo can reach a respectable 135mph and shaves roughly 30% construction costs. Unlike electrified Acela, Talgo is compatable with freight train operation which adds a funding source. No rail corridor in the US actually need reach speeds of 200+mph. If the California LA-to-Bay Area HSR project initially opted for Talgo, they’d be running today; the trip time increasing only 2 hours, from 4-hours on Acela to 6-hours on Talgo and pay a lower fare. The 80-mile Tampa-to-Orlando HSR route would be a piece of cake with Talgo. Republican Party leaders serve automobile-related business interests first, then us other Americans if unavoidable. Democratic Party leaders read an deviously edited chapter from the republican playbook on how a mandate for 200mph will send HSR off the tracks. Not sure why you argue that no route in America need be 200mph+. Many of these routes could effectively end air travel between certain cities at 200mph, which is a great benefit for numerous reasons. No HSR route in American can maintain 200mph. 60 miles in a dozen viaducts to enable 200mph through a State Park east of San Jose. The 135mph route system is via Altamont communities with no rail option currently. Conservative Fresno appreciates neither meeting people nor meeting their needs nor the quiet of State Parks. Conservative businessmen love 200mph trains because they’re more destructive and offer little to freight rail & metro commuter-rail. The Talgo/America facility was our best hope. 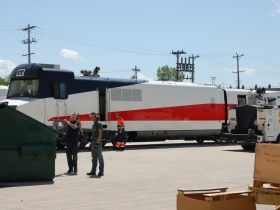 The Spanish Talgo trainset was engineered in the USA in the 1940’s-50’s. Yesterday I rode in a car that was either manufactured or reconditioned by Talgo, a train between Seattle & Portland, OR – it had the most uncomfortable seats I have ever experienced on mass transit in the US or Europe – no padding, poor shape, too high for my feet to touch the floor (I’m 5’2″, not freakishly small), there was a lever that looked like it would change the position of the seatback, but it was useless and a cruel joke. People ride Amtrak trains for many hours – it s cruel to have such bad seats. In the restroom, the grab bar was so low it interfered with the toilet seat lid – the lid was BEHIND the grab bar, so the lid could not be closed before flushing the toilet – on a moving train – eww!! When I mentioned the uncomfortable seats, the conductor said he wished the seats were the worst problem with the cars – then he caught himself and refused to say more. Now I am worried not only about comfort but safety.